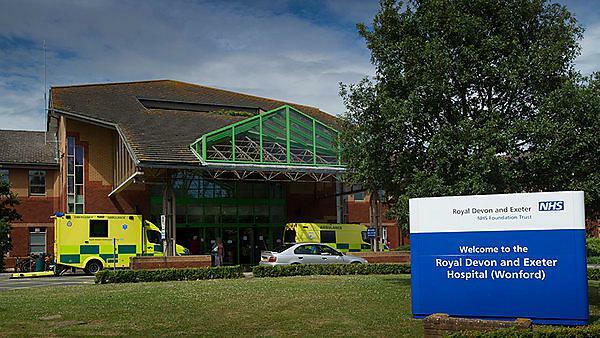 The South West Clinical School at Royal Devon and Exeter NHS Foundation Trust exists to promote evidence-based practice and clinically-focused non-medical research that enhances patient care. A partnership between the Trust and the University of Plymouth, the Clinical School encourages and supports nurses, midwives, and other allied health professionals to look at their practice, challenge current thinking, try out new ideas and work out ways to measure what they're doing. strengthen the position of the patient as the focal point for care – putting the patient at the heart of the Clinical School’s activity. Top ten concerns burdening people with cancer and the nurses caring for them. Does weight matter? Women's experience of having a raised BMI whilst pregnant (Jenny Cunningham, Dinah Gibbons) 6th Annual Weight Stigma conference, Leeds UK 2018. Implementing Urology Site Specific Health and Wellbeing Clinics (M Bracey) UKONS UK Oncology Nursing Society; 2016. Pain assessment and management in patients with cognitive impairment in an acute hospital (Julie Murdoch, Laura Cook) National Acute Pain Symposium, Chester 2016. Impact of an education programme for novice nurses on staff work engagement in a UK ICU (Churchill K, Brook R, Hawkins K, Paver N) ESICM European Society of Intensive Care Medicine, Milan 2016. Mitchell K, Delfont S, Bracey ML, Endacott R. (2018) Top ten concerns burdening people with cancer: perceptions of patients with cancer and the nurses caring for them. European Journal of Oncology Nursing 33: 102-106. Punshon G, Endacott R, et al (2017) The Experiences of Specialist Nurses Working Within the Uro-oncology Multidisciplinary Team in the United Kingdom. Clinical Nurse Specialist. 31(4):210-8. Fry F, Shawyer V, Endacott R (2016) Experience with phlebotomy for people with hepatitis C: a systematic review. Gastrointestinal Nursing 14(7): 28-41. Endacott R, Boyer C, Benbenishty J , Ben Nunn M, Ryan H, Chamberlain W, Boulanger C, Ganz FDK (2016) Perceptions of a good death: a qualitative study in intensive care units in England and Israel. Intensive and Critical Care Nursing 36: 8-16. As a clinical professor, it's a great privilege to mentor nurses to develop research skills alongside their 'day job' - science is everybody's business and the joy of that first publication or conference presentation is unforgettable. The South West Clinical Schools are a collaboration between the University of Plymouth and the NHS, working with nurses, midwives, and allied health professionals at all stages of their clinical and academic development. Our work with local health services has identified the urgent need to capture improvements in patient and family outcomes, as well as ensure that existing evidence is used to best develop the research led by non-medical health professionals. To meet these needs, we have invested in clinical schools, which are professorial-led centres, in five of our local NHS trusts. The main focus for the clinical schools is to encourage health professionals to look at their practice, challenge current thinking, try out new ideas and work out ways to measure what they're doing. Find out more about the South West Clinical Schools.